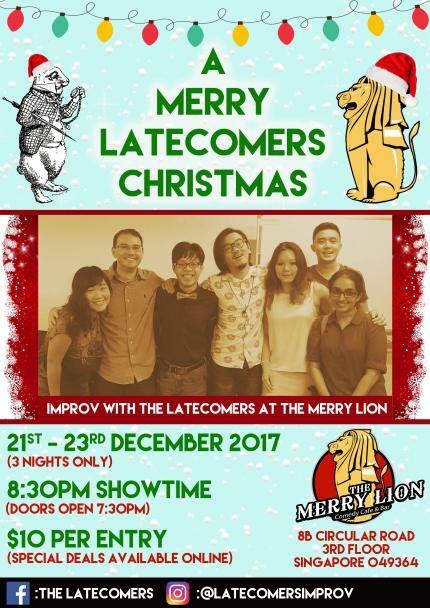 The Latecomers, Singapore's very own improv troupe are excited to take the stage at the newest comedy club in town, The Merry Lion. 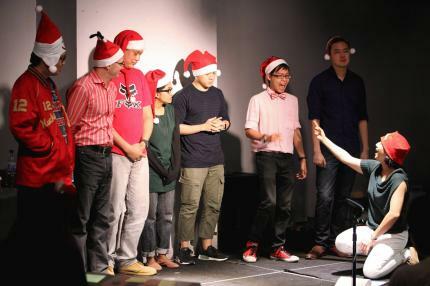 And we're going to bring the Christmas cheer, improv-style!! We'll be playing 'Whose Line Is it Anyway?' style short-form improv games, serenade unsuspecting audience members, along with long-form improv inspired by audience stories. Everything is made up on the spot and each show is unique. Don't believe us? Check us out on multiple days of our 3 day run at The Merry Lion. We've got some great deals for you!! Come and check out the only full-time comedy club in Singapore (due to fully open in Jan 2018) and support the up and coming improv comedy scene.